True expertise in any field requires firsthand experience. So, it’s no wonder Harry Taylor Golf has had such a lasting impact on golf club design. You may not recognize his name, but you’ve likely heard of his work. Harry Taylor is a former PGA pro who became instrumental in the design process for popular clubs such as TaylorMade Metalwoods and Mizuno Irons. These clubs became fast favorites among both amateurs and pros. TaylorMade and Mizuno were revered as innovators within the golf industry, and this was due in no small part to Taylor’s real-world tour experience. Now, after a brief hiatus, Harry Taylor has returned to the world of club design with his new company, Harry Taylor Designs. 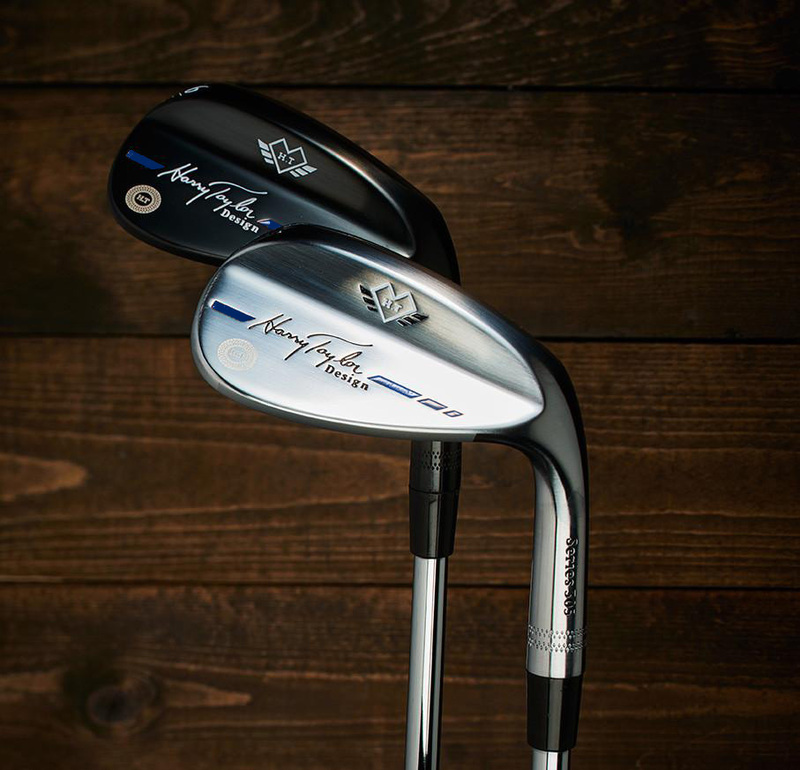 In 2016, he introduced the limited-edition Harry Taylor 305 Series Wedges. His new wedge design represents the culmination of decades of experience—both in club design and on the golf course. Once again, Taylor is revolutionizing club design through the eyes of the golfer. Harry Taylor describes club design as the most fulfilling aspect of his career. He would happily tell you he does it all “for the love of the game.” This claim rings true when you look at the path of his design career. No matter the company, no matter the club, Taylor’s collaborators have always counted on him to prioritize the golfer’s experience. He’s collected feedback from countless pros over the course of his decades-long career. His own experiences have given him the insight to judge the practical application of new design innovations. He knows the myriad obstacles golfers confront on different courses in different climates. His proven goal has always been to provide golfers with versatile, reliable clubs that promote true enjoyment of the sport he loves. 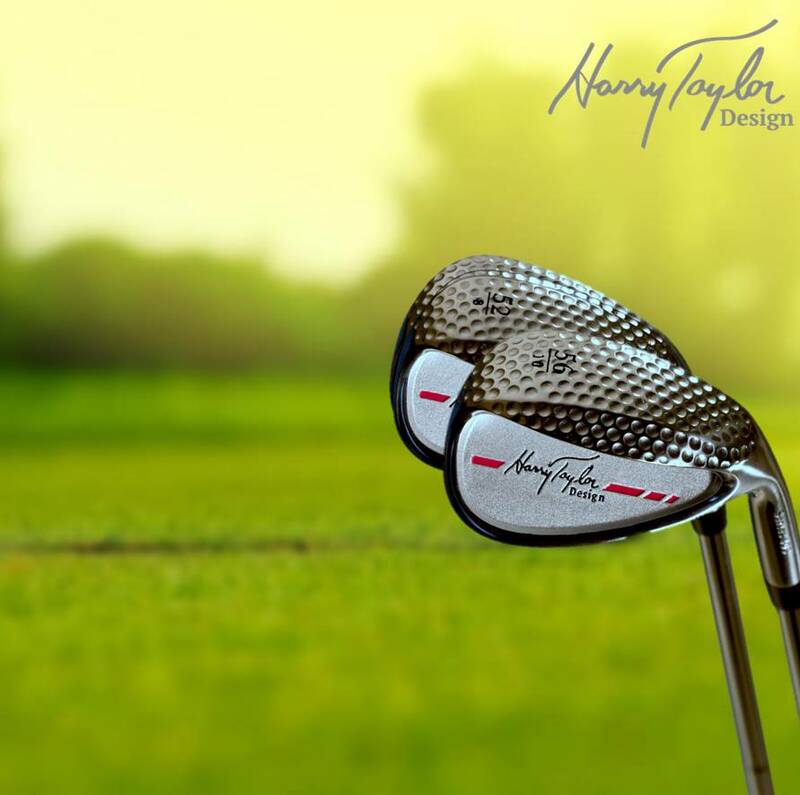 Now, through Harry Taylor Golf Designs, Taylor works with a team of top-tier designers to combine classic styles with innovative engineering. This company is introducing timeless design to the modern era of golf. Taylor did not begin his work in the golf industry as a club designer. Rather, he began his career playing on the PGA Tour, and it was pure serendipity that drew him into the world of club design. Ultimately, Harry Taylor’s contribution to TaylorMade would extend far beyond supplying meaning to the brand name. His pro golf career gave him priceless insight into the evolving technology of club design and how it translates into practical use. His firsthand experience and access to other pros enabled him to help design clubs that would meet the real-world needs of golfers. Taylor soon became completely absorbed in club design. His collaboration with Adams was so successful that the two eventually launched a second company: Founders Club. This company lasted until Adams’ health failed, at which point Taylor signed on with Mizuno. Once again, Harry Taylor used his invaluable personal insight to help Mizuno’s forged iron become the #1 iron on the PGA Tour for eight seasons. Though Taylor had found his passion in club design, he never lost his love for the game itself. In 2008, he returned to golf as an associate member of the Champions Tour and continued on through 2010. After a health scare in 2014, Taylor refocused on what he considers his greatest and most fulfilling priority: club design. This is what inspired him to launch Harry Taylor Designs and create the Harry Taylor 305 Series Wedges. What exactly do you get when a designer combines Tour experience with design experience? 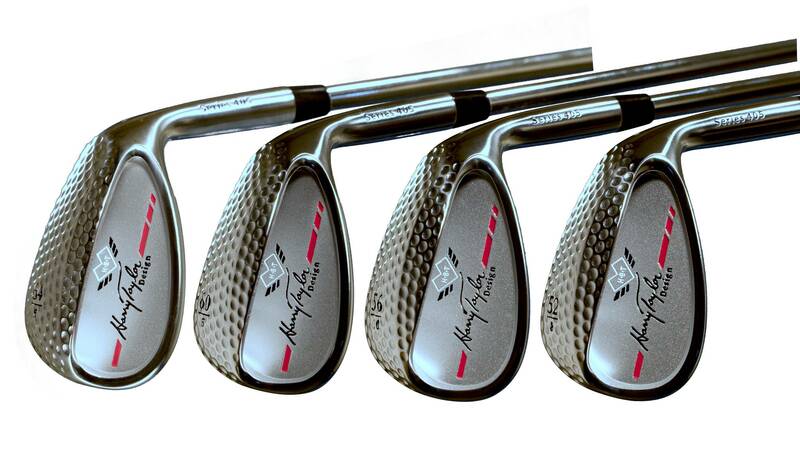 Here’s a snapshot of the Harry Taylor Golf handcrafted 305 Series Wedges. The clubhead is designed with what Taylor describes as “the finest soft metals.” More specifically, the head is made of 303 stainless steel. The 305 Series Wedge also features a chrome-plated clubface, available in a stainless chrome or black satin chrome finish. The wedge comes with Golf Pride’s Tour Velvet Rubber Grip. This non-slip, tour-quality grip is also a favorite among pros. With its fine lines and subtle accents, the 305 Series Wedge immediately projects a classic style. You also see this aesthetic in the traditional teardrop shape of the clubhead. Harry Taylor selected this shape after finding that in all his years playing golf, this is the shape that consistently serves him well, no matter the circumstances or type of shot. From pitching to chipping to bunker play, he swears by the teardrop. The clubhead has a cambered leading edge with the bounce beveled into the sole. The wedge also has a C sole grind for maximum versatility. That perfectly engineered bounce and grind was a high priority for Taylor, who set out to design a sole that “travels well from state to state.” The 305 Series Wedge is artfully designed to glide through turf, no matter the lie. On the chrome-plated clubface, you’ll notice Taylor’s precision-milled grooves, designed to produce consistent spin. These grooves are U-shaped and 100% inspected. Finally, Taylor himself promises that each of the Series 305 Wedges boasts the perfect offset for each loft. Speaking of loft, let’s take a look at the specs. Harry Taylor Designs keeps it simple with only five different loft options. 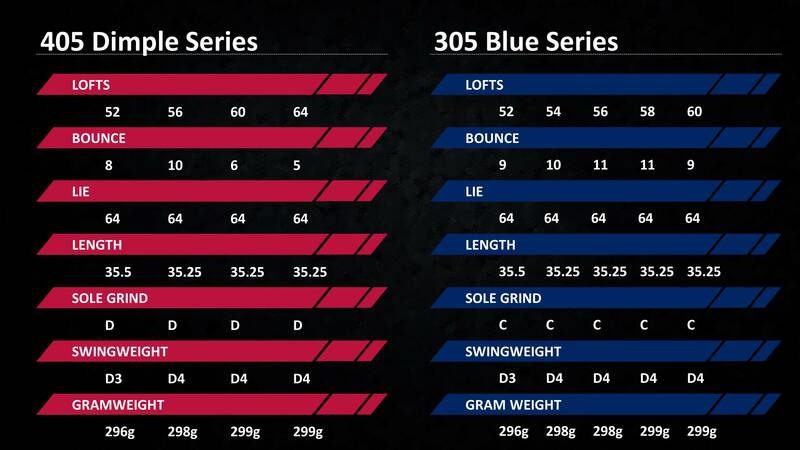 Here are the specs for each wedge, depending on the loft that’s right for you. Every Harry Taylor Golf 305 Series Wedge has a 64-degree lie and a C sole grind. It should be noted that the limited edition 305 Red Series Wedges are sold out. But don’t worry; a new debut is right around the corner. 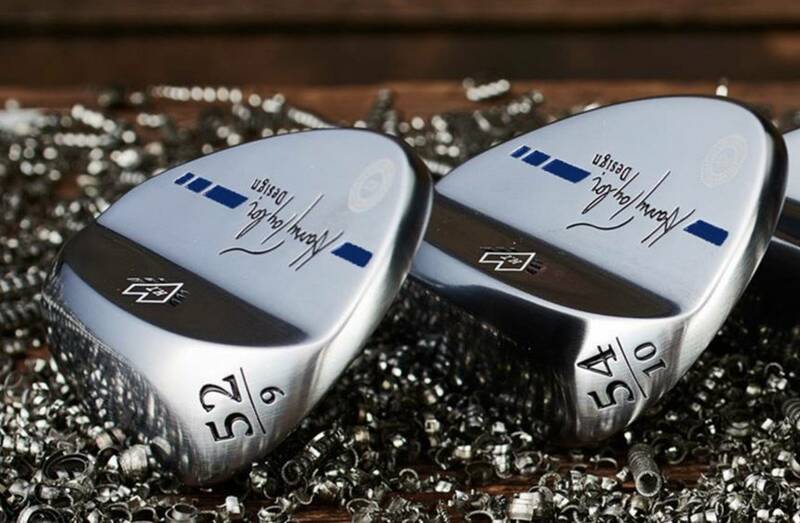 In August of 2018, Harry Taylor Designs will introduce their new 305 Blue Series Wedge, as well as the 405 Dimple Series. 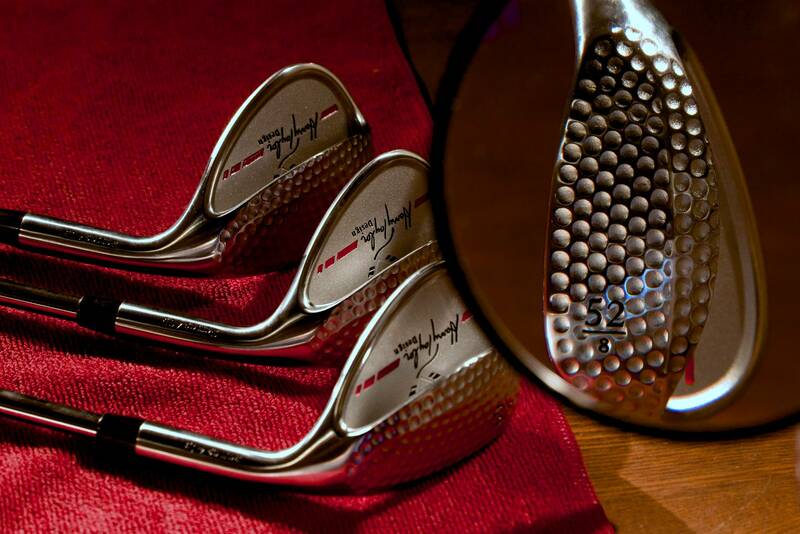 From TaylorMade Metalwoods to Mizuno Irons and now the 305 Series Wedge, Harry Taylor has revolutionized club design. He has been an influential voice in creating some of the most trusted clubs for pros and amateurs alike. His hybrid career of design and pro golf has fortuitously positioned him to be a uniquely insightful designer. It’s exciting to see his work on the market again. We’ll be looking forward to the upcoming series. Have you tried the Harry Taylor Golf 305 Series Wedge? What about his TaylorMade or Mizuno designs? What did you think? Whether you have comments, questions, or additional insights, we’d love to hear from you. Please join the discussion below. Also remember to follow us on social media for the most current information on golf products and industry innovations. If you want some great free tips to help your golf game, head here for some of our favorites. Also be sure to follow us on Facebook, Twitter and Instagram for more little-known tips and tricks to transform your game. Our primary goal is always to help you play better golf. And for helpful video tips, subscribe to our YouTube channel!